Crude importers in India and Indonesia will be monitoring Asian currency markets as the sharp depreciation in their respective currencies raises concerns about their faltering purchasing power in international energy markets. Also in oil, industry participants will be looking out for Singapore's August marine fuel sales data that will be released on September 13. 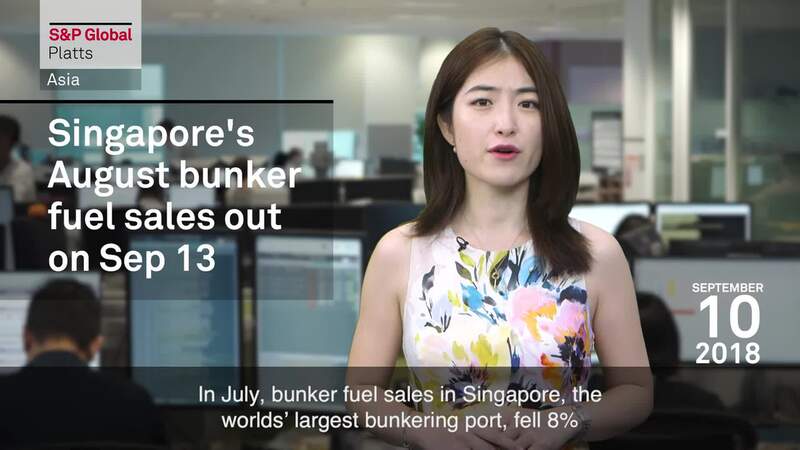 July bunker fuel sales at the worlds' largest bunkering port fell 8% on the year, but rose 3% from June to 4.04 million mt, according to preliminary data released by the Maritime and Port Authority of Singapore. In thermal coal, Australian producers and Japanese buyers will continue the October year term contract talks this week. Market participants said that this year's contract was likely to settle at a higher level than last October's term contract price of $94.75/mt FOB Newcastle if spot prices remain at current levels. In agriculture, Brazilian soybean exports have already reached levels predicted by supply and demand estimates based on market consensus, but Chinese demand continues to rise. This episode also looks at alumina prices, as Alcoa the workers' strike in Australia continues while Hydro has signed agreements to resolve issues at its Brazilian refinery; as well as LNG prices while market participants are waiting to see if the US imposes the proposed tariffs on $200 billion of Chinese imports.